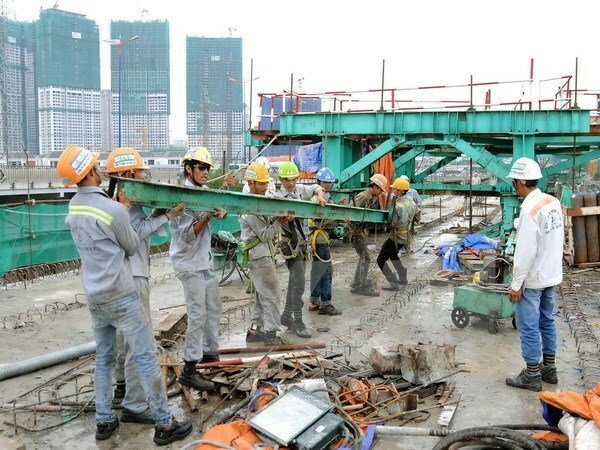 HCM City (VNA) – Vice Chairman of the Ho Chi Minh City People’s Committee Tran Vinh Tuyen has asked local departments and districts to disburse all public investment capital from 2017 by the end of January 2018. At a meeting on August 3 to review the city’s disbursement of public investment capital, Deputy Director of the municipal Department of Planning and Investment Tran Thi Binh Minh said more than 26.18 trillion VND (1.15 billion USD) has been allocated from the State budget to HCM City so far this year. The city had disbursed 13.21 trillion VND (581.1 million USD) as of July 31, 50 percent of the sum planned to be disbursed this year. That includes 722 billion VND (31.8 million USD) of capital from the central budget, 22 percent of total State capital subject to disbursement. HCM City also disbursed 2.9 trillion VND (127.6 million USD) or 72 percent of Official Development Assistance (ODA) capital allocated by central agencies as of July 31. Meanwhile, local projects need about 7.7 trillion VND (338.7 million USD) of ODA capital this year. Minh said as the provided ODA capital has met about 50 percent of local demand, HCM City will struggle to soon finish many projects. This is also a reason behind the slow payment of contracts signed with foreign partners, which could force the city to pay fines for late payment, she added. Meanwhile, about 9.59 trillion VND (421.9 million USD) or 51 percent of capital sourced from the city’s budget was disbursed as of July 31. This sluggish disbursement is mainly attributable to slow site clearance.